I have to say that having just had my new kitchen I felt compelled to write a positive review. 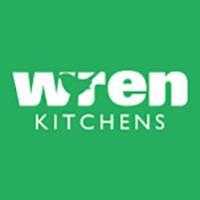 I had nothing but top class service from Kitchens Direct. A lovely lady came to help me plan the kitchen (I am clueless!) and from the first visit to the end result it was seamless. The surveyor also came to check the plan this was reassuring and made me feel that they take the fitting seriously. The fitters were curteous and tidy too. They sold me a kitchen that does not even exsist, I am still trying to get my 100 pounds back, I have reported them to trading standarts.Keep clear of them is my advice ! Firstly, Kitchens Direct (KD) are not a cowboy outfit. There is a cowboy with a similar name who KD keep on having to sue. KD are part of the same group as Moben. The kitchen and fitting will be the same, but the price a bit lower.